Are you ready to take the guess work out of battery shopping? Then you’ve come to the right place! 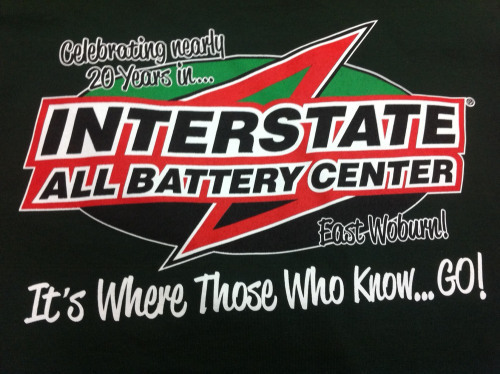 Interstate All Battery Center® in Woburn, is your one-stop shop for portable power. There’s no need to waste time going from an electronics store for your cell phone to an auto-parts store for your truck. 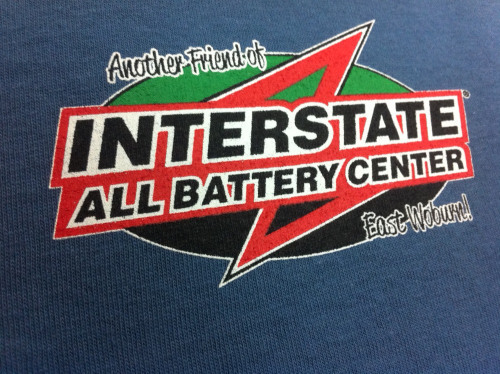 Instead, stop by our All Battery store to find exactly what you need to power everything from your kid’s favorite toy to that old power tool you inherited from your dad. Just bring in your device and our experts will get it running. 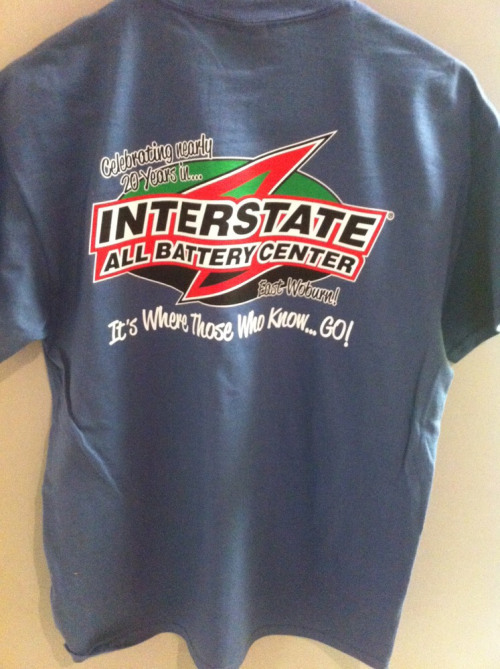 After all, we’re called All Battery for a reason. 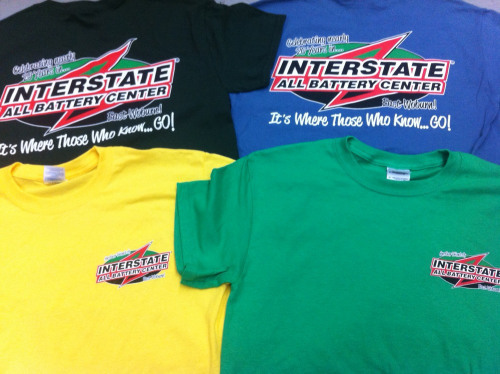 While your down there picking up your batteries for this years latest and greatest electronic gadgets and toys, make sure to grab one of these colorful shirts. 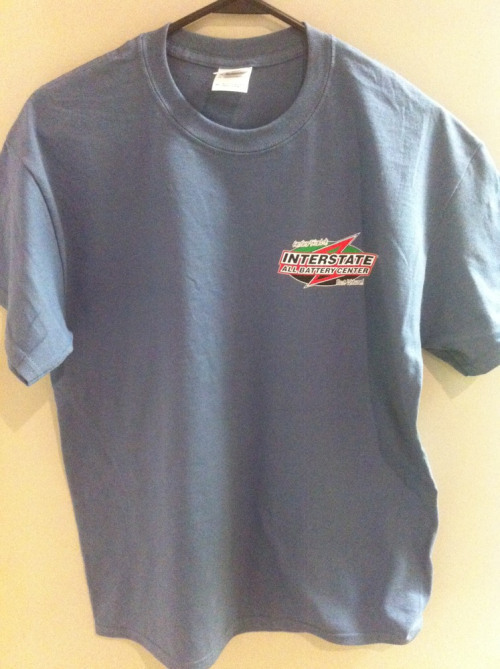 This 5 color print, (yes 5 we printed two whites to ensure a soft hand) Looks extremely sharp on the assorted color ways.